So. 2012 was pretty fantastic, but I’m hoping 2013 will be bigger and better. What about you? This time last year, I decided on RESOLVE as my Word of the Year (thanks again for the idea, Jessica Corra!). That little word went a long way in helping me achieve many of the goals I’d set for myself. I thought of resolve often, like early in the morning when I didn’t feel like getting up for a run, and late at night when my eyes were almost too tired to finish revising. Resolve helped get me through a lot, which is why I plan to keep it in mind this year as well. I’m very much a Type-A person. I like to have a plan, I like to be in control, and I like to make sure things get done. Seeing as how I’m an Army wife and I have inserted myself into the oh-so-unpredictable world of publishing, my Type-A-ish-ness often struggles. I wonder and worry and stress A LOT, which is why I’m going to try very hard to go with the flow in 2013. I will work as hard as I can and do everything in my power to find success, but I will also try to remember that sometimes, what will be just… IS. There is so much I cannot control (in publishing and in general), so I vow to do my best to accept life’s events as they come, and appreciate them for what they are. For me, 2013 is about acceptance. What will the New Year be about for you? I hear you on the worrying and stressing and wondering….Acceptance sounds like a great word! I followed your lead from last year and chose two for my year (on top of some resolutions/goals for 2013): Perseverance and appreciate. Thanks, Elodie. I love your words for the year. Perseverance is SO important in this crazy publishing world. It’s one I’ve kept in the back of my mind over the last few years. Best of luck in 2013! Happy New Year, friend. 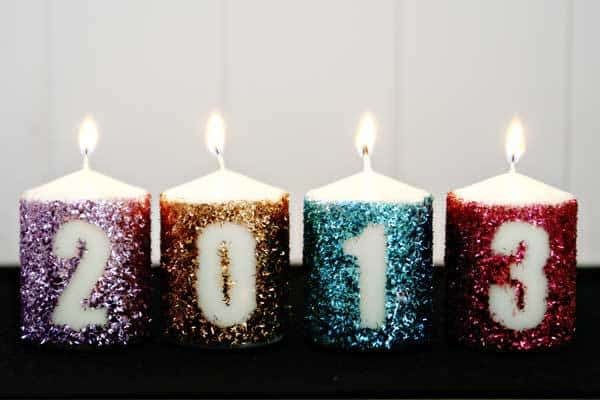 I hope 2013 is a great year for you! Acceptance is a great word and I like resolve too. For me, I think I’m just going to try to stay focused – on my family. On my writing goals. Hope your New Year is a wonderful one in all aspects of your life, Katy! Focus is huge for me too, Alison. It’s been very easy to become distracted lately, especially with the holidays and all. I vow to work harder on focusing too! Happy New Year! I love the word you’ve chosen. I need to learn to be more accepting of that which I cannot control, too. I’m also very Type-A! Ooh, can’t wait to stop by your blog and check out your word, Ghenet! Acceptance is a great word for 2013…it’s one I need to focus on in the coming year, too. I think I’ll pick a word for myself, too. It’s a great idea. Yay! Can’t wait to check out your word, Jess! I love your choice in PRESENT, Erin. That’s a word I try to keep in mind when it comes to my family. It’s too easy to think about other things (reading/writing/blogging/whatever) when I’m with my husband and my girlie, but I really try to focus on them and appreciate our time together. Thanks for the reminder, and Happy New Year! I love that, Liz. Something I’ll definitely keep in mind as well. I can’t wait to see where 2013 takes us both! What a great idea to choose a word to follow you throughout the New Year! I am new to WorldPress and have been following your posts. I like what you have done with your page and you have given me some great ideas and inspiration. I am going to take your idea and run with it. I choose Gratitude as Dana did. I’ve been thinking A LOT about Gratitude as I am in the process of adopting two chidren who are in the Foster Care system. Thanks for the inspiration and have a GREAT 2013! I’m glad you commented, Karin! Gratitude is a great word, especially considering the big changes coming your family’s way. Best of luck with the adoption process… How lucky those children are to have you in their lives! I would never think that, Kat! 🙂 WordPress is sometimes so uncooperative, but there are some really great aspects to it too, ones I just can’t part with. Best of luck in 2013, lady… I can’t wait to see what the New Year has in store for us! I followed suit and posted my word for the year over on my blog. Here’s to amazing things happening – looking forward to hearing all about it! Happy New Year to you too, Erin! I can’t wait to drop by your blog to check out your 2013 word. Best of luck to you in the new year! Acceptance is a great word! I chose a similar one (PRESENT), also because I felt like I spent a lot of 2012 worrying about things (and I’m not Type A at all). I already know 2013 has some amazing things in store for me, and I want to be able to appreciate it to the fullest. Can’t spend it worrying about things I can’t control (like knowing what the future will bring). I love your choice in PRESENT as a 2012 word. It’s one I try to keep in mind too, especially in the way of time with my family. It’s so important to take the time to appreciate all those little moments. 🙂 Happy New year, lady! I love your word for 2013–I picked mine (present) for a similar reason; because Type-A me has a hard time not focusing on what’s ahead instead of the now. I hope 2013 is a fantastic year for you! What excellent words, both for last year and this one. You’ve got me thinking about what I want my own year to look like, though I haven’t narrowed it down to one word just yet. Best of luck Accepting!